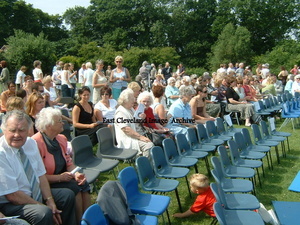 The crowds still gather to take their seats at the Centenary Celebrations, where you there? Tell us you memories of this special day. The stalls await the eager browsers outside the school, a lovely day for a wonderful event. 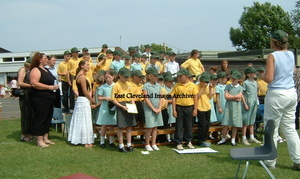 The sun shone and everybody came to celebrate. 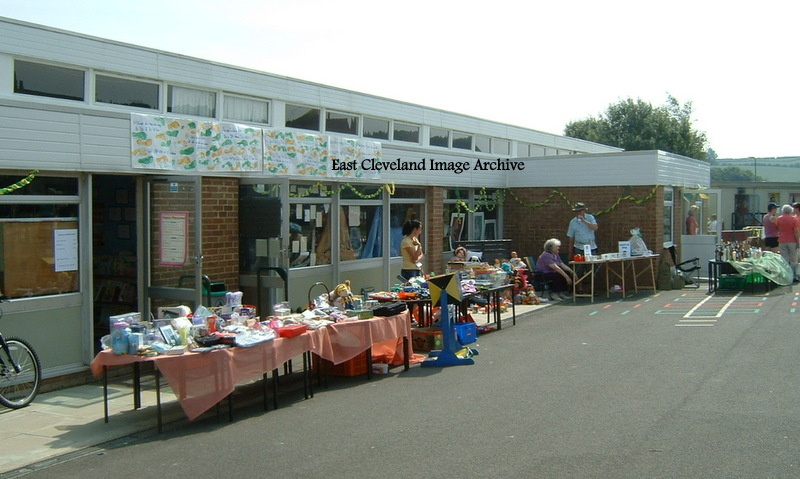 Although St Joseph’s had moved from Deepdale Road to Rosecroft Lane, it was appropriate that the centenary should be celebrated, a well loved school deserves recognition. 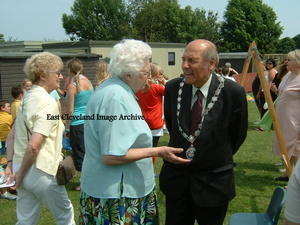 Mayor Eric Jackson (himself a former pupil of St Joseph’s in Deepdale Road) was an honoured guest at the celebrations. A photograph from the celebrations of St Josephs school centenary in 2008. 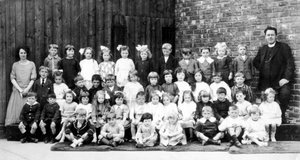 The original St Joseph’s opened in Deepdale Road 12th June 1906; moving to the Rosecroft Lane building in 1968. 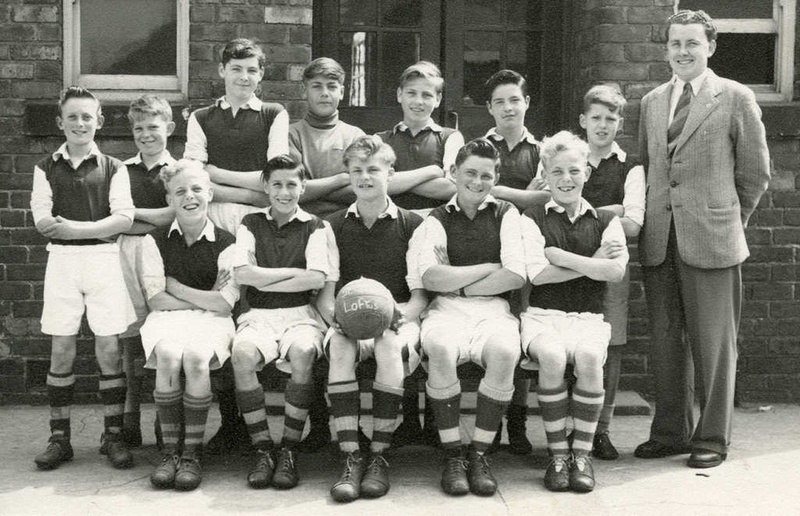 Can you find anyone on the photo you know? 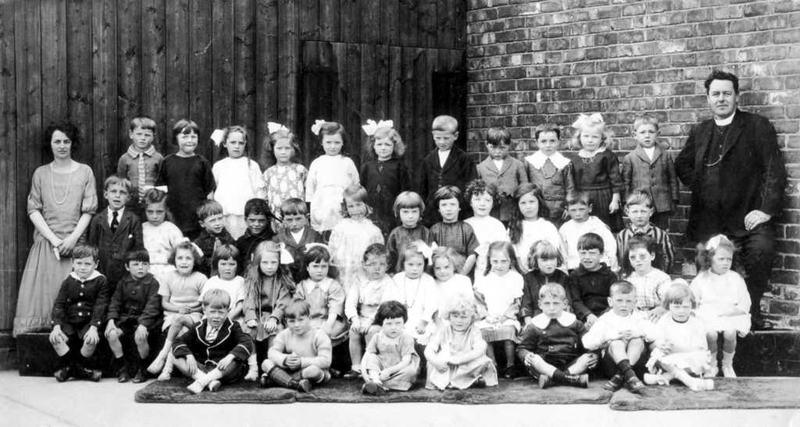 A photograph of a class at St Joseph’s School on Deepdale Road. Back row, (l-r): Miss Webb (teacher), Joe Baldwin, ? ?, Betty Readman, Annie Shimmings, ? ?, Jenny Kerno, William Nicholson, ??, ? ?, Mary Garbutt, ? ?, Father Machan. 3rd row, (l-r): Ronald Duck, ? ?, ??, ? ?, ??, ? ?, Dorothy Duffy, Elsie Duffy, ? McCabe, ? ?, Frank Swales, ??. 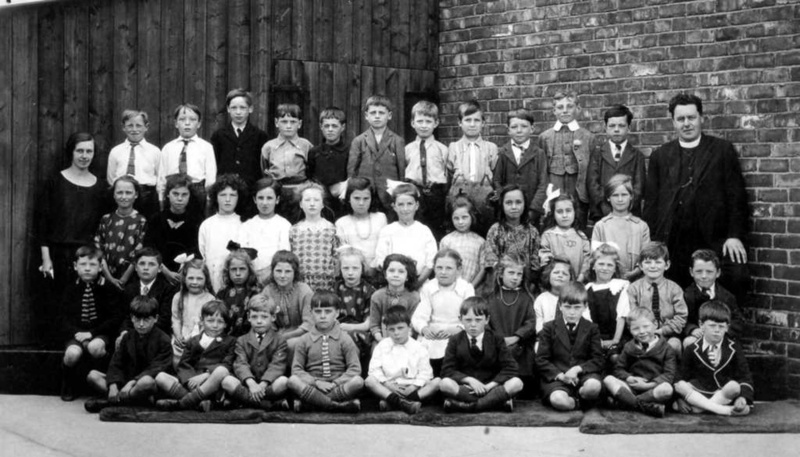 2nd row, (l-r): ??, ? ?, ??, ? 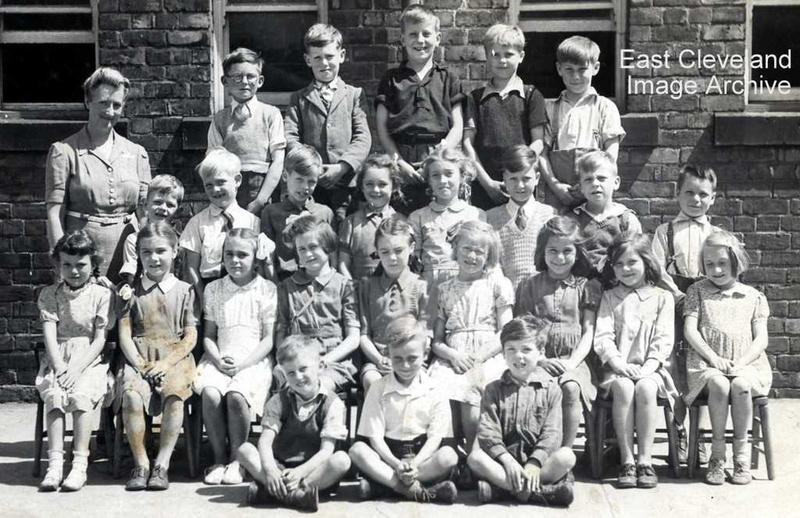 ?, Jane Swales, ??, ? ?, Teresa Vincent, Agnes Bice, Mary Pass, ? ?, ??, ? ?, Joan Ransome. 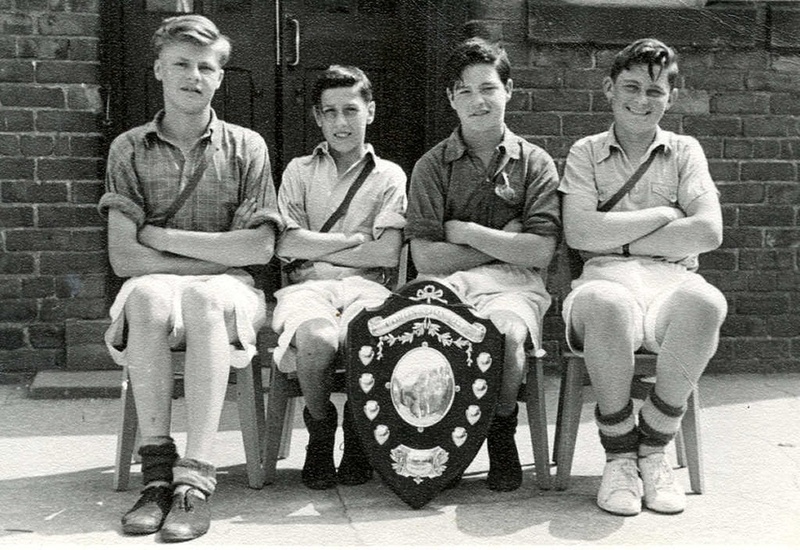 Front Row, (l-r): ??, ? ?, Maura Lavelle, Connie or Molly Logan, ??, ? ?, Molly or Connie Logan. 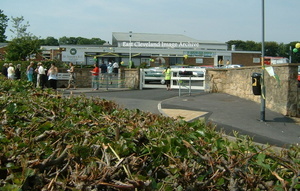 Image courtesy of Joe Ward. 3rd row: (l-r) …………… 8.Alice Swales ………. 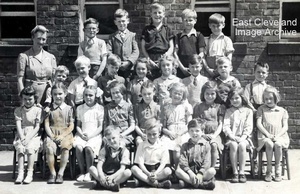 Thanks to Joe Ward for the photograph and names so far. 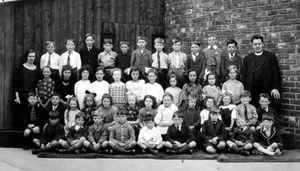 Miss Walker with her class in 1946. 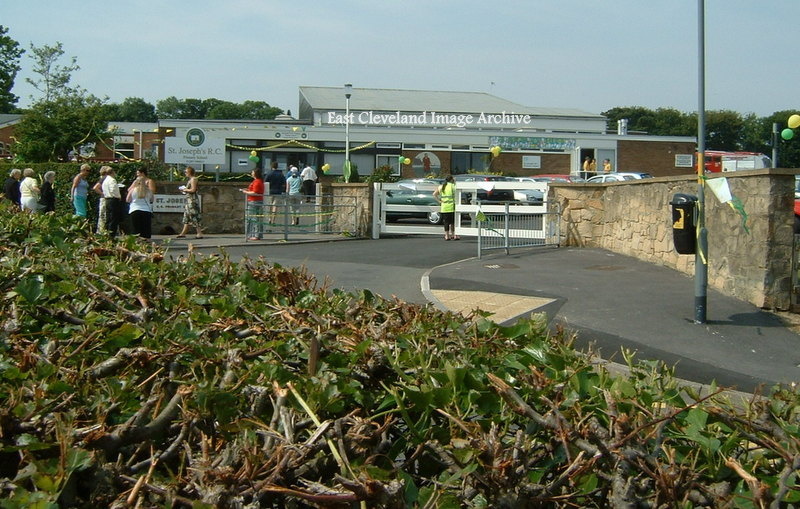 Thanks to Joe Ward for the photograph and information, also John Malone for the update. 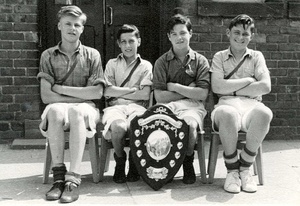 The relay team, l-r: Tony Jackson, Tony Raspison, Alan Lightfoot and Joe Ward, are pictured with the Area Shield that they won. Thanks to Joe Ward for the photo and information. Thanks to Joe Ward for the photograph and information.